🌟 This is my first book by Jodi Picoult who I have heard lot of good things about. I always avoided her books for no good reason, I just thought that they may be hyped and I wanted to give her a chance. Once I saw she was releasing this book and I read the synopsis I thought this is the book that will change our relationship. 🌟 I like books that deal with medical topics specially that they are topics usually avoided for being heavy and dark ones. I don’t think it is a matter of enjoying it or not but rather than it changed something in me as a future doctor. 🌟 The book started out really good and chapter 1 was amazing and I knew I would like the book, this chapter ended with a cliffhanger and it was actually the second to last chapter in the book, so the story starts from the ending to the beginning. I am not sure that I liked that and it was a bit confusing at some points and need some time taking to. I didn’t think it added anything to the story, it made the beginning good but I was less thrilled throughout the rest of the book. I mean if a character is alive by the end of the story then she must have survived an incident in chapter 3 for example for sure. (This is not an actual example from the book!). 🌟 I like the writing style and I highlighted 10 great quotes on my e-reader! 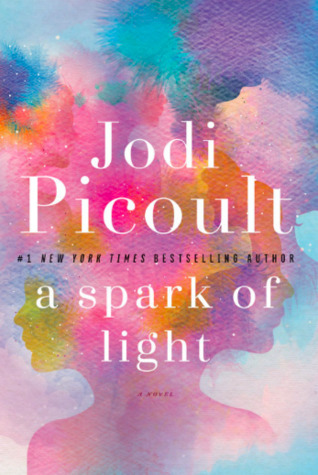 I heard that this is not Picoult at her best which means that she is even more awesome than she was in this book! 🌟 And I need to point out that this was one of the most medically accurate books that I have ever read, I think she did a great job in the research. And she seems to go with Pro-choice more than pro-life but she doesn’t force that on readers. She just provides examples and situations that makes you compare the 2 POVs and decide for yourself! I really like that as it shows how different people think. 🌟 Every once in a while I need a wake up call as a medicine student. We tend to forget that we interact with people at their weakest states in our jobs which is emotionally draining. This was my wake up call! 🌟 Summary: A good book with great writing and it deals mainly with abortions. It provides insight to different opinions regarding that matter in a balanced way. I just didn’t like the reverse narration which had a more negative than positive impact. Definitely reading other books by Picoult in the future! I ended up giving this 3.5 out of 5 stars! Prescription: For those who are interested in the topic of abortion and for medical students in general!